Well, I hope I get into the flow of weekly posts, or even more often. For now, I am behind on wine posts from Yom Tov and other get-togethers. So, here is a list of wines I have recently tasted. Some I enjoyed and well, some not. 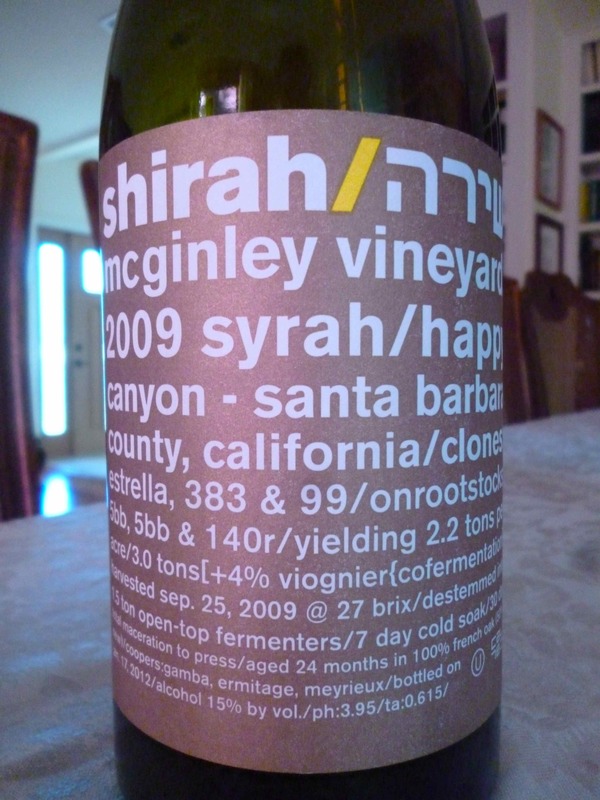 There are a few shmita wines here, so be careful, as always I highlight them as shmita of course. This wine is a blend of 85% Bobal and 15% Cabernet Sauvignon. The nose on this wine is rich with lovely umami, soy sauce, ripe plum, rich earth, loam, mushroom, raspberry, and black cherry. The mouth on this medium bodied wine is rich and impressively structured for such an old wine, showing really nice acidity, still integrated tannin, with an inky mouthfeel of velvet and texture with crazy mushroom, earth, barnyard, dark concentrated fruit, blackberry, ripe fruit, perfectly balanced with ripe currant, dark red forest berry, and green notes. The finish is long and tart with more dirt, and barnyard, showing still gripping tannin, and nice ripe and rich fruit. The oak does not show strongly in the mouth but it’s influence is felt nicely. BRAVO!! This is a lovely black fruit Syrah, with hints of blue fruit in the background. The nose on this wine is lovely, with roasted meat, rich licorice, with blueberry notes in the background, along with earth, loam, mineral, and spice galore! The mouth on this medium bodied wine is balanced and well-focused, with a mineral core, followed by sweet boysenberry that comes alive with time, followed by blackberry, spiced plum, and rich loam, that is wrapped in spicy oak, rich mouth coating tannin, and fig. The finish is long and spicy, with leather, chocolate, lovely charcoal, and bitter almond notes that give the wine its edge. The sweet fruit shows quickly and really is a nice wine, I hope it turns more French with time. It is ready now and will be at peak in two years. Drink till 2021. This is a blend of all the varietals that Psagot bought/used for the Shmita year of 2015. The white shmita blend was really nice, while this was good enough. It is very green. The nose on this wine is cranberry, cherry, and asparagus salad. The mouth on this medium bodied wine is nice, but nothing spectacular, other than the very impressive mouth coating tannin. Other than that, it feels like a second label French wine, with lots of press juice, very harsh and not balanced, with black and red fruit. 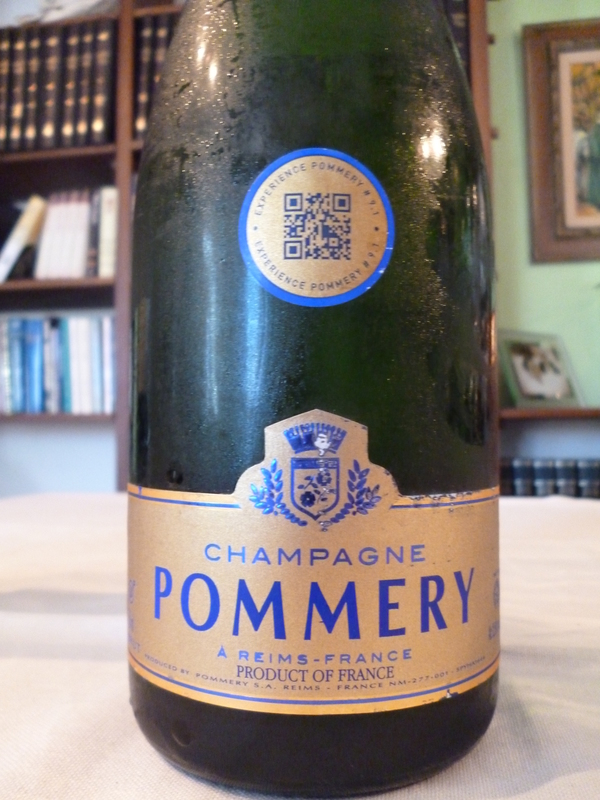 The finish is long and green, with good acid, and mounds of herb and foliage. This past weekend friends from the kosher wine forum were coming over for the Sabbath and it was time to do my long-awaited blind tasting of the only 6 wines from California’s 2009 Syrah vintage (there may be another out there but it is not yet available). I wanted it to be blind, as all our favorites were in this one and I wanted all the table to vote without any prejudices. Another friend from the shul brought two wines from Italy of which his brother is the kosher supervisor. We had the first one for kiddush and the second one later on, more on those in a minute. Finally, we my last – which was awesome! For the fun we threw in another non- Cali Syrah (really an SMV) from Dalton – pre Shabbos meals, which was lovely – but not up to the caliber of the top wines we had later that evening. Food wise, same old same old – which is great to me! We started the meal with some lovely Herb encrusted gefilte fish and then moved on to some sausage stew. For dessert, ER or HK made a crazy good blueberry topped crisp – which was served alongside some non-dairy vanilla ice cream. All in all a great meal, made better by the friends that were there – and of course by the lovely wines we had to enjoy with them all. After having a quiet set of days at my friend’s homes and at our house, without any guests, it was time to open the wine spigots and see what we could get going. It has been too long since we enjoyed some Shirah Wines – wines from the now famous Weiss Brothers. The winery is in Southern California, but the wines are now very easy to buy, as they are being sold in NY and Chicago, (distributed by River Wines – thanks Ami!!) The wines are also online at Kosherwine.com (where you can get some of the now sold-out 2010 Coalition), Gotham Wines, and SkyViewWine.com. It almost seemed like Shirah Wine became famous after my original post about the Weiss brothers (all I did was give them their due and rightful respect – their wine did the rest!). They are two wine hell bent (in the right way) brothers who went out on a ledge, and almost went over it, to make great kosher wine and spirits! Throughout all the crazy tribulations they continued and believed in themselves, a truly rare and awesome trait – if I say so myself. You have to have a very strong internal compass and self-belief to build a wine when all seems to be going against you. I really do have great respect for the two of them, but that does not bias my feelings about their wines – they just happen to make damn good wines! 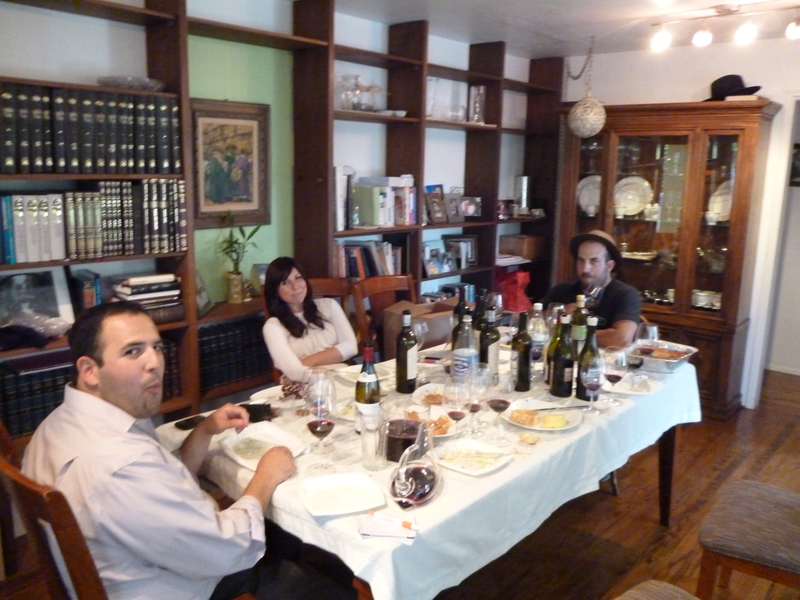 The first time we tasted their wines, was indeed at the now famous Benyamin Cantz (Benyo of Four Gates Winery) and Rabbi Naftali Citron Shabbaton, where they shared with us the just bottled 1-2 punch and Syraph. 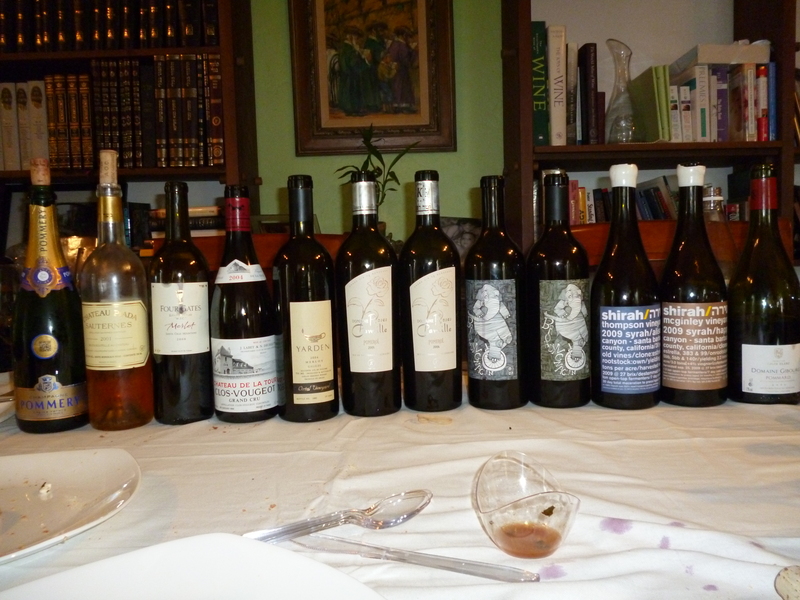 Since then we re-tasted the 2008 Syraph again along with the 2009 Power to the People and it was truly a joy tasting them side by side the much heralded and hot Israeli Ortal Syrah from Yarden, which to me felt underwhelming in comparison! The Weiss brothers, is not just a saying or moniker, they are actually brothers! They consist of Shimon Weiss (the hands and crazy good palate of the pair) and Gabriel Weiss (newly married with a family) is the winemaker. However, they really are the “brothers”, nothing gets done without the two of them. I recently visited the Agua Dolce Winery, where the Shirah Winery is currently stationed, on the way home from the 2013 IFWF, and Shimon was going to Israel in the next few days. To get ready for his departure, they had to get everything bottled and ready to go for the Passover sales. Why? Because the bottling line, labeling, and the entire complex minutia that goes into bottling a wine after the wine is made, was being handled by Shimon at that time. That included bottling the new 2011 Coalition and the new 2010 Single V. Thompson, Syrah/Mourvedre, both of which I tasted and blogged about at the 2013 Jewish Week City Winery tasting. To start please excuse the obvious play on C. W. Lewis titles, as my ode to the wonderful Olympics that have just completed in Great Britain, and for Britain’s handling and medaling throughout the Olympic extravaganza. While, the games were closing down in London, a few of us were gathering for what can only be called the regal revelry in San Diego! No, we were not reveling over the medal haul of the United States or for anything related with the Olympics. Rather, it was a chance date that allowed the four of us to get down to San Diego and enjoy the insane hospitality of Andrew, the purveyor and manager of Liquid Kosher.